Home Columns Is Chase Freedom Unlimited Profitable? Chase Freedom Unlimited is a cashback credit card which offers average cashback opportunities for consumers. There is also $150 cash back bonus with the card. The card is very good when you are using it in 15 months introductory period. However when this period comes to end, things are going to change for you. Since the card got many good reviews on promotional websites, you can think that it’s very profitable. We don’t promote any company or a card on Credit Cards Center unless we want to promote a card with our own decision. We are going to tell how it is profitable or not. Comparing cards is the best way to understand if a card is profitable or not. So we will compare Chase Freedom Unlimited with a few cards on here to understand how much profitable it is. In the first example, we are going to compare Chase Freedom Unlimited with Citizens Trust Bank’s simple credit product: Visa Classic ATL. It provides only 1 rewards points for $1. This is the compare of both cards in introductory period. Visa Classic ATL doesn’t offer introductory period for consumers. However Chase Freedom Unlimited offers 15 months. So we prepared compare for 15 months below. You are going to lose $1951 with Chase Freedom Unlimited in first 15 months. It is only $340 with Visa Classic ATL. After introductory period, the compare is going to be as the example period below. You are going to lose $2188 with Chase Freedom Unlimited in a year after introductory. It is only $281 with Visa Classic ATL. Cash backs should provide advantages to consumers and minimize their loss. 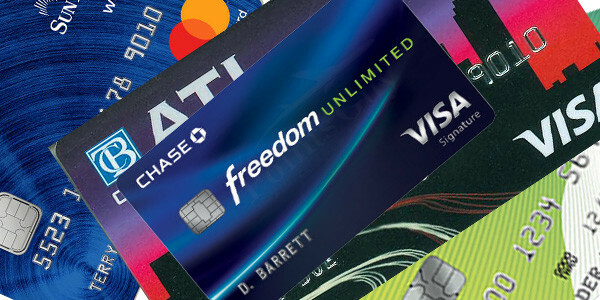 We compared Chase Freedom Unlimited with a card product of a local bank of United States. Let’s compare Chase Freedom Unlimited with another card. Now we will compare Chase Freedom Unlimited with Cashback Visa Signature of Bank of Hope. The card is providing 1.25% cashback to consumers. It is actually below average for our standards. Chase Freedom Unlimited is providing 1.5% cashback and it is a fair cash back rate for us. Both cards are in the same category. Let’s see compare of both cards. Reminder: Cashback Visa has 12 months introductory period and Chase Freedom Unlimited has 15 months. We made our calculations for 15 months. You are going to lose $1951 with Chase Freedom Unlimited in first 15 months. It is $1413 with Cashback Visa Signature of Bank of Hope despite of 3 months difference and 1.25% cash back. Let’s see the normal period after 15 months. In this compare Bank of Hope Cashback Visa Signature gives $463 more profit to consumers. It means 46300 rewards points. You can get 463$ cash back with 30900$ worth purchases with Chase Freedom Unlimited. In these compares we paid all our debts monthly. If you don’t pay your all debts in a month, things will go worse for Chase Freedom Unlimited side since interest rates are higher than Visa Signature or Bank of Hope Cashback Visa Signature. We will compare Chase Freedom Unlimited with SunTrust Bank Cash Rewards now. These both cards have similar features with 15 months introductory period. Let’s see who will be the winner of this compare. You are going to lose $1951 with Chase Freedom Unlimited in first 15 months. It is only $1013 with SunTrust Bank Cash Rewards. Despite of many praises for this card on credit card review websites, we got some interesting compare results here. If you are using all features of a card it means that this can be a total loss for you. Actually if you even eliminate some facts (such as foreign transactions or balance transfers, you are going to get similar results. Since Chase Freedom Unlimited doesn’t provide any other additional services, it doesn’t look like a profitable choice.